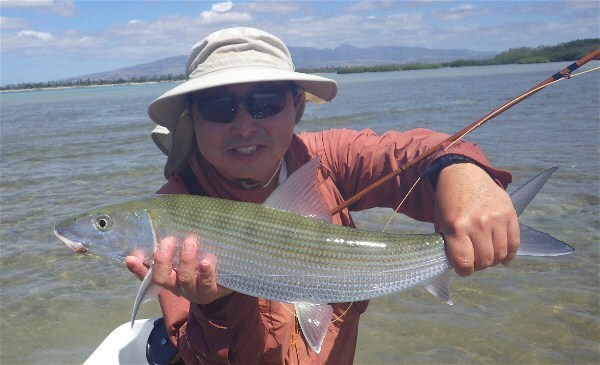 Editor's Note: Dean Shirota is one of the best fly fishermen on Oahu and the creator of many of the locally tied flies for sale at our shop. Here he takes us into the Palolo skunkworks and shows us one of his newest creations. I have always enjoyed tying flies for my personal fly box. Although there are many effective commercially available patterns, I have always taken pride in fishing flies that I have tied with my own hands. Maybe not so much for my earliest creations since they were not so nice; but like anything worthwhile in life, with practice one can develop the necessary skills. The quest to find the "magic fly" has always driven me to seek, tie, and test new patterns and materials. The quest for new materials allowed me to meet Raf, another fellow brother afflicted with the same fly fishing addiction. What I eventually found out was that he has access to a vast array of stunning fly tying materials. Some of which I have never heard of before. He sent me a list with pictures of what he could get and through him, I bought a bunch of materials. I was absolutely impressed with what I got. We keep in touch via email, often sending pictures of our catches and Raf would update me of any new materials he�s obtained. So about two months ago, Raf sent a picture of a new material that he got and asked me what my thoughts were. 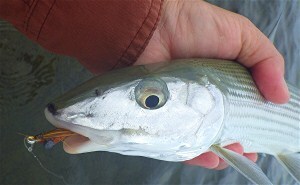 I believed the new material could possibly make nice bonefish flies. Raf said that he would send me a few pieces to test and soon after a package arrived at the house. Curious of its contents, I quickly opened the package. 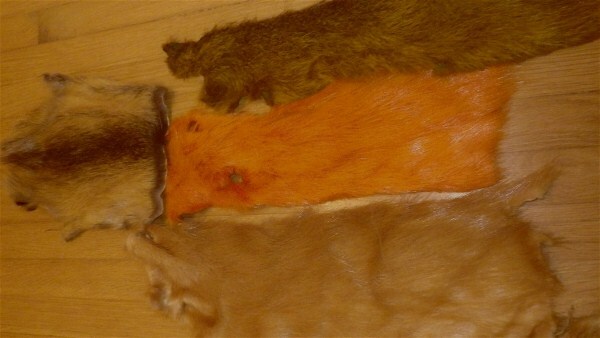 The material inside ended up being nutria. From my understanding, nutria is basically a big rat that people eat. 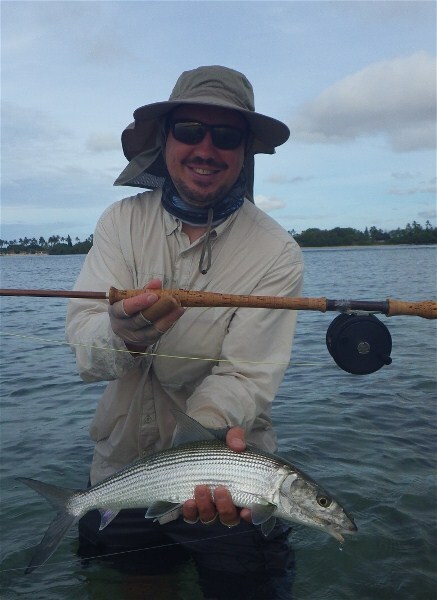 Regardless of the fur�s origin, my initial thoughts were that it would make some awesome bonefish flies and I instantly had the urge to tie some up. 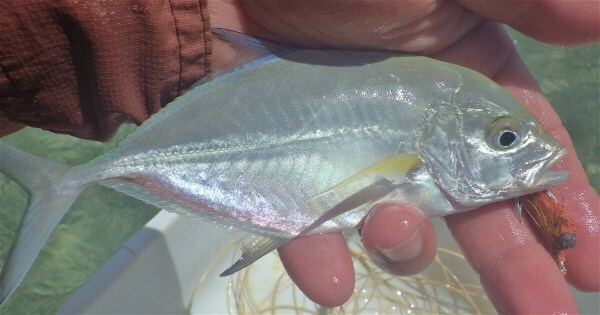 The longer fibers had an iridescent sheen similar to that of what I saw in polar bear hair; which makes perfect wings for bonefish flies. 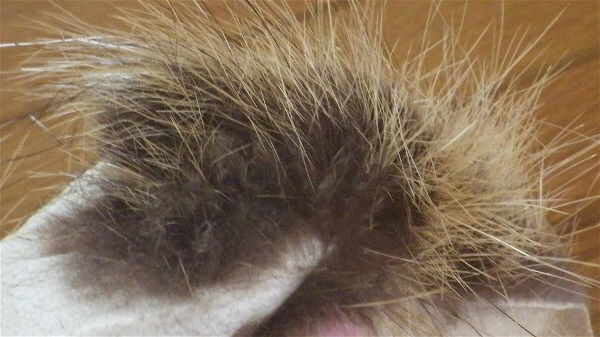 The short underfur could easily be separated from the longer fibers and when mixed with other materials, made great dubbing for the buggy looking bodies of flies. After several minutes I had tied a bunch of flies and was stoked with the results. Now came the fun part, live animal testing. Hopefully the new flies will work like magic. I was fortunate to have a couple fishing days planned with a friend named Dave who was visiting from out of town from Canada. 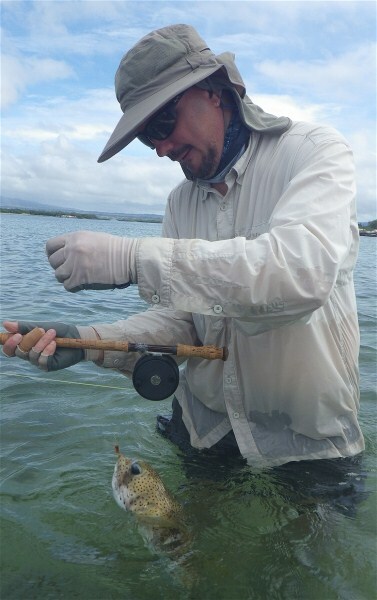 I met Dave through another friend James Reid that builds wonderful bamboo fly rods. Dave was on his way to Christmas Island and I convinced him that he needed to add extra days prior to his trip to try his hand at Hawaiian bonefish. On the first day when we got to the flats, Dave asked for a recommendation on the type of fly he should be using. I gave him some of my newly tied orange nutria flies to test. We quickly rigged up, went to work, and had an awesome outing. 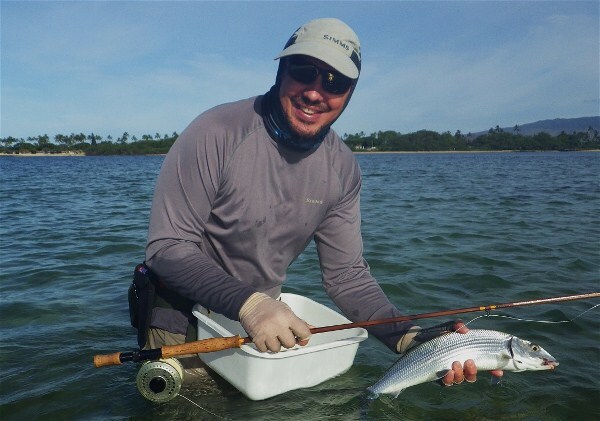 Dave initially had issues getting hooked into his first bonefish. Being a big time trout fisherman he had the dreaded "trout set" ingrained in his reflexes. 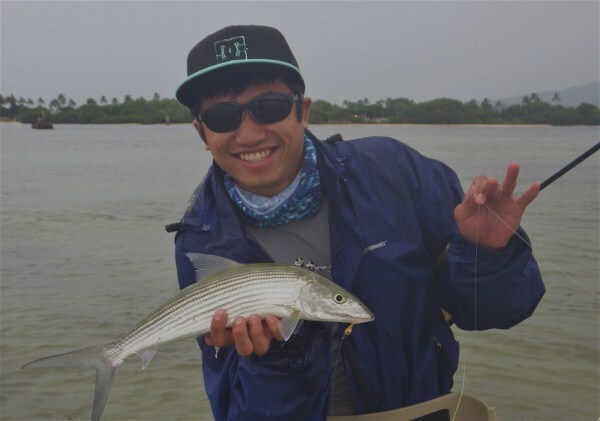 After a bunch of missed fish he got the hang of doing a strip set and ended up landing several bonefish and a golden trevally. 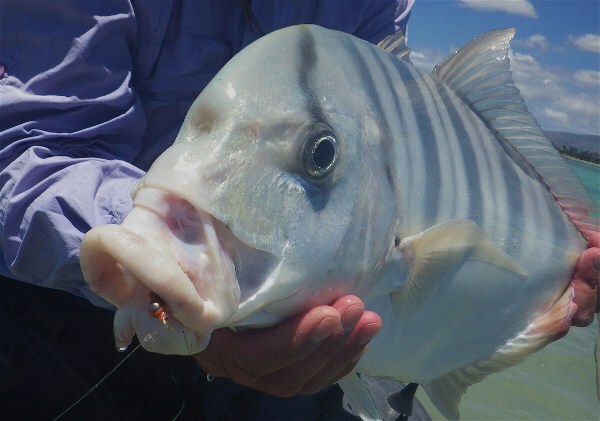 He had also hooked multiple other bonefish that slipped the hook and another golden trevally but it cut him off after a long battle. 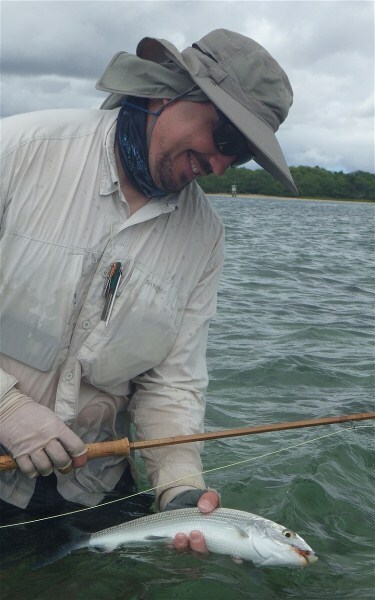 I had similar results, landing both bonefish and a striped trevally. 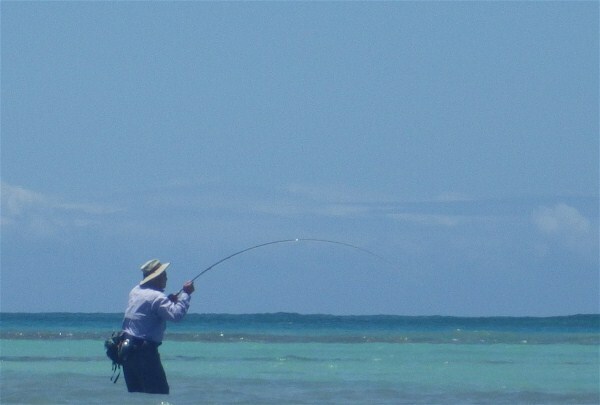 The next day, we only fished half the day but obtained similar results with Dave landing several more bonefish and a puffer and I landing more than a few as well. Not a bad initial testing of the new fly. 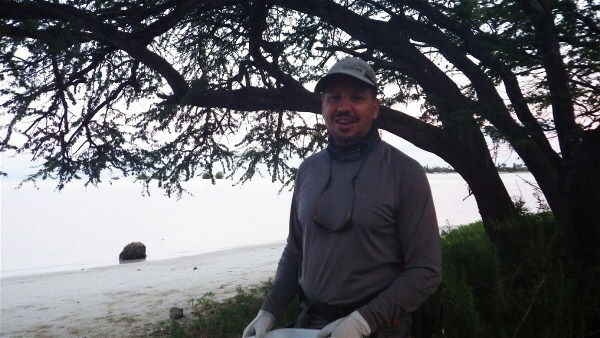 The next big test for the nutria fly was when I got to fish with my friend Harold who was visiting from Oregon. I was able to squeeze in two days of fishing while he was here. The first day his second son, Casey, was able to join us. I gave both of them some of my new flies to try out. 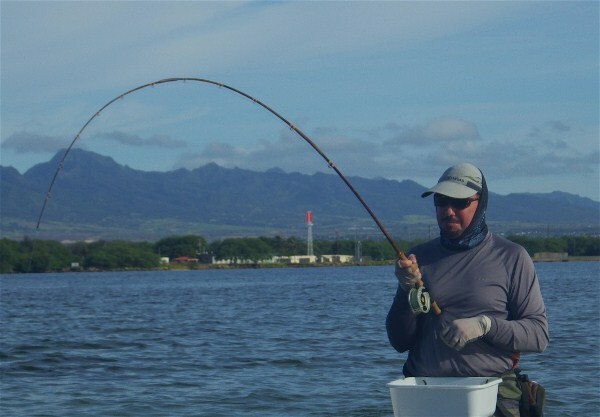 Casey immediately tied one on the end of his line while Harold decided to start off with something else. 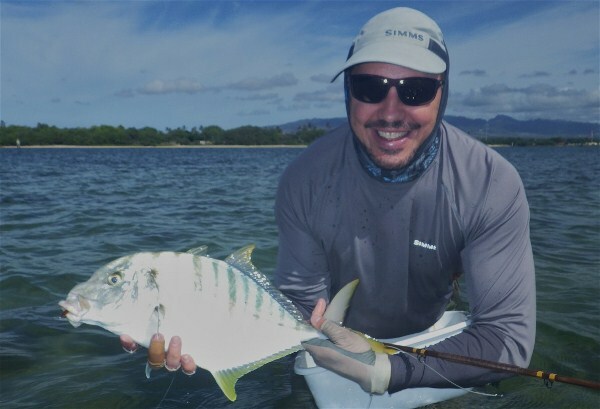 I pointed them to a spot where I knew the fish would be and as they headed out, I decided to search the inside of the flats for sharks to test another fly that I was working on. Every time I glanced in Casey and Harold�s direction, Casey was hooked up to a fish. After Casey caught his fifth fish, Harold decided to change his fly and then he too started catching. 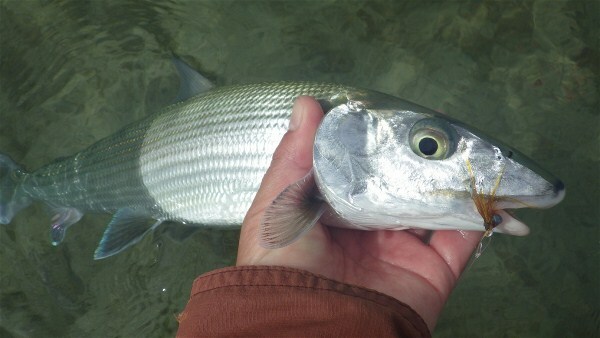 By the end of the day, Casey landed a load of bonefish and Harold got several too. 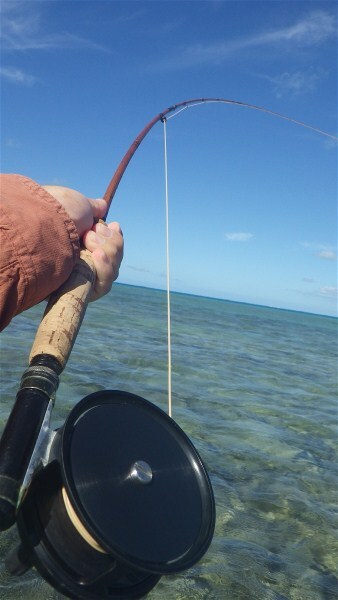 The next day, Harold and I decided to focus on sight fishing since the tide was perfect for it. It had been years since Harold last went sight fishing for bones and after a quick refresher, we spread out to find fish. Harold had multiple lookers, some eaters, and hooked into a huge fish that cut him off after running off the reef. I was able to land a nice 7 lb fish on a brown nutria fly which totally made my day. After the tide dropped we moved to another spot on the flats. 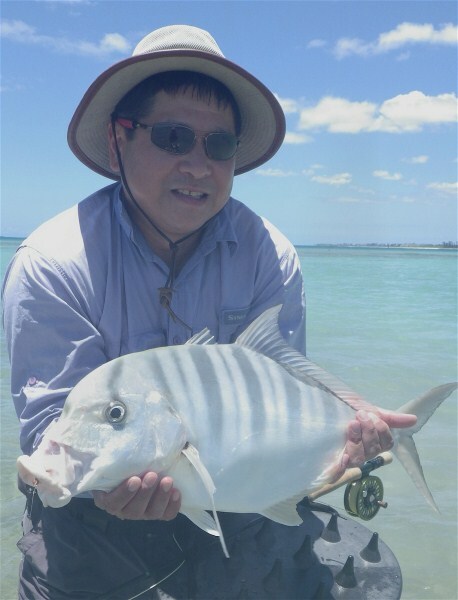 I put Harold on a nice rock to ambush fish as they passed by when the tide came in and I decided to change flies to fish for small trevally on the inside. 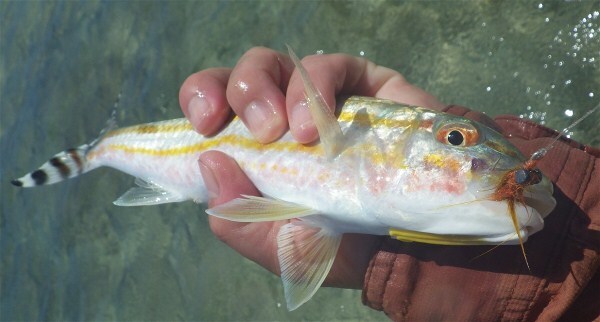 I ended up landing several trevally and a goatfish which was a blast. After about 20 minutes, I glanced over to where Harold was and saw that he was hooked up to a huge fish. 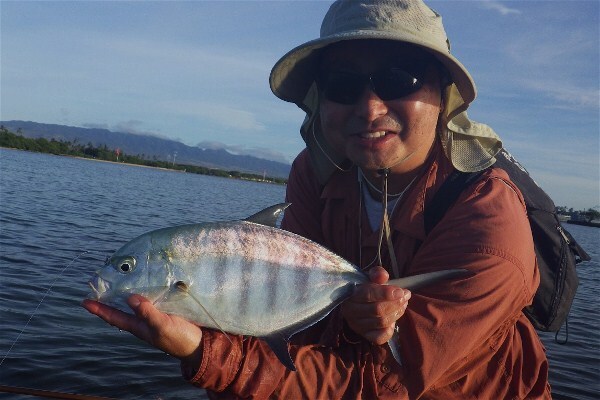 I walked across the flats to see if he needed help; and was glad that I did because it enabled me to watch him put the finishing touches and help him land a huge golden trevally. Harold has caught many trophy fishes in his life but it made my day when he said that the fish he caught was "a fish of a lifetime". What a wonderful way to end the day and with such successful results, I will be sure to keep a bunch of nutria flies in my box just in case I need a little extra magic. 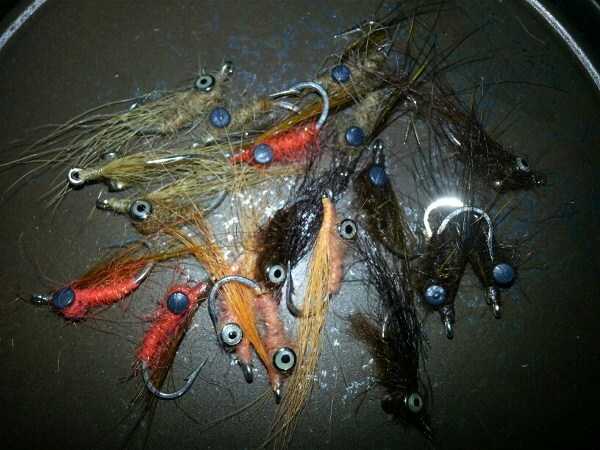 Want to tie Dean-o's Nutria Fly? He kindly posted directions here.